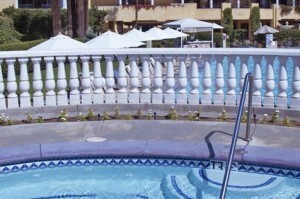 If you have a pool and children or pets, you need to have a pool fence. To many preventable deaths occur each year from small children and animals falling into unprotected pools. All pool fences should have child safety locks and have been meticulously inspected and tested to insure the safety of your loved ones. The fence companies we work with offer a wide variety of styles and color when it comes to pool fences and we work hard to make sure that your new fence fits your home perfectly. Installing a pool fence is different than installing vinyl or split rail fencing, as the contractor will (most often) need to drill into the concrete surrounding your pool. Make sure that you go with a fencing contractor that has the skill and expertise when it comes to pool fence installation.